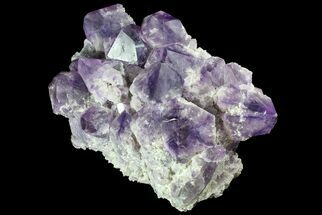 Due to the large size & weight of this item it will need to be shipped via freight. The website can not accurately calculate freight shipping costs so these will be calculated and billed after purchase. It should be around $300 within the continental United States. Please contact us if you require a shipping quote prior to purchase. Due to import restrictions within some countries on wood products, we may not be able to ship the wooden base for this table to all International destinations. 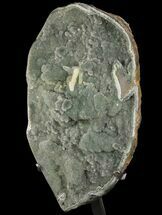 Please inquire with us prior to purchase if you intend for this item to be shipped outside of the US. 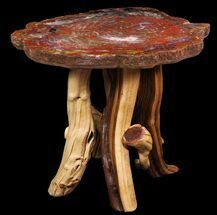 This is a beautiful, rainbow colored, Arizona petrified wood table. 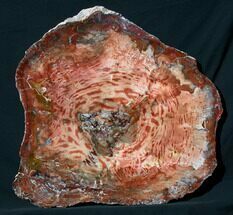 It it made out of a vibrantly colored, 26.5 x 21.7" petrified wood round which has been cut and polished to a mirror like finish on one side. 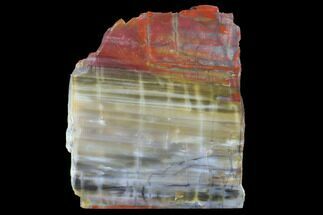 It has displays brilliant hues of reds, oranges, yellows and purples. 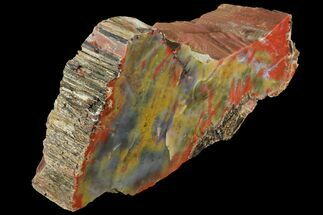 The petrified wood is Triassic in age or approximately 225 million years old and was collected from a ranch near Holdbrook, Arizona. 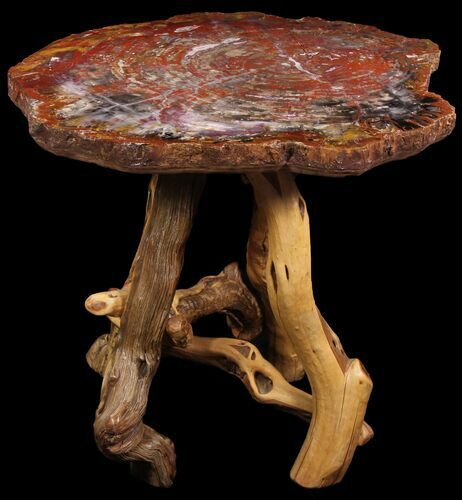 The table stands 24.5" tall on it's custom made wood base.